March 29, 2016 – Astronomers were watching when comet P/2016 BA14 flew past Earth on March 22. At the time of its closest approach, the comet was about 2.2 million miles (3.5 million kilometers) away, making it the third closest comet flyby in recorded history. Radar images from the flyby indicate that the comet is about 3,000 feet (1 kilometer) in diameter. Scientists used the Goldstone Solar System Radar in California’s Mojave Desert to track the comet. 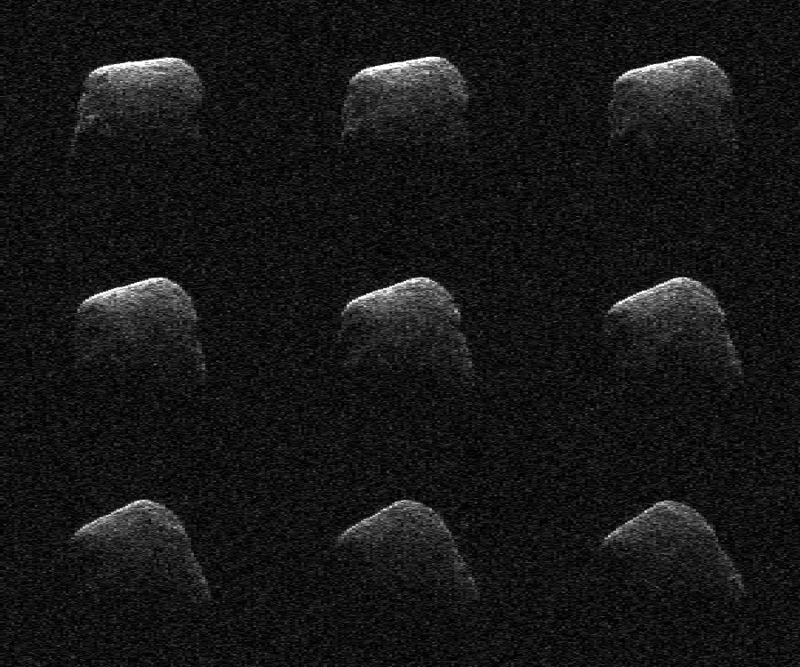 “We were able to obtain very detailed radar images of the comet nucleus over three nights around the time of closest approach,” said Shantanu Naidu, a postdoctoral researcher at NASA’s Jet Propulsion Laboratory in Pasadena, California, who works with the radar team and led the observations during the comet’s flyby. “We can see surface features as small as 8 meters per pixel.